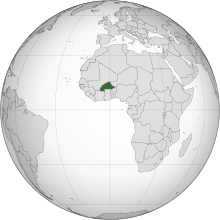 Burkina Faso - Site de lazuliart ! - An economy highly exposed to meteorological conditions. What about the artist and the art work? Oussouf Bonkoungou, bronze artist from Ouagadougou, the capital of Burkina Faso, uses the lost wax technique to model his beautiful bronze statuettes. He prepares clay by mixing it with donkey manure for the mould. Then he sculpts the piece in wax, puts the clay around it and places support on the mould. The wax is heated and recovered and molten bronze poured into the mould. The mould is then broken, and the long process of finishing and polishing the piece begins.